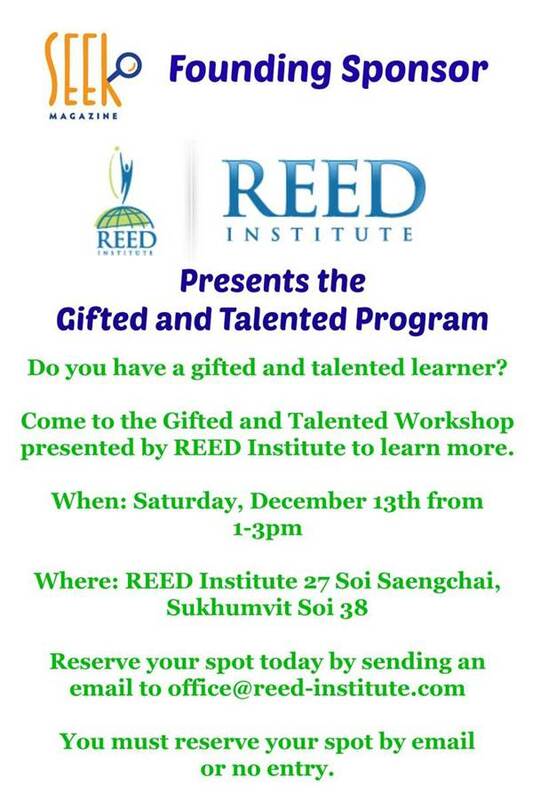 Workshop presented by REED Institute on their gifted and talented program (for gifted and talented learners) will be held on December 13th! Reserve your spot today via email! No RSVP NO Entry!